Firewall, routers, and switches...oh my! With the various components that are involved in your network infrastructure, it may be challenging to know precisely what is what. It is essential that you understand what each component is, so if an issue arises you can pinpoint what needs to be fixed. This will ultimately save you time and money. So here is a quick guide to some of the critical devices and pieces that make up your IT systems. Routers – This hardware is responsible for sending information between devices and networks. Sent with what are called packets, data is read by the router and the router then determines where the packet should be delivered. A local router is called the "Gateway" and is used to connect to a local area network (LAN) to a wide area network (WAN). This device is an essential component for accessing the internet, you cannot use the internet without it. In your IT room, the router should be fairly easy to locate. Switches – Allow for the network devices to communicate with each other effectively. The switch is typically connected directly to the router, and all of the devices are connected to the switch. With the router allowing for connection to the WAN, if the router were to break or malfunction there will still be communication permitted internally or locally through the switch. Firewalls – Put simply, the firewall is the security for the network. It monitors the traffic and data that the passes through the router, blocks unwanted information, viruses and spam emails as well with anti-virus and anti-spam capabilities. Some hardware firewalls can also act as a router (i.e., perimeter firewalls). There are also software firewalls that can be installed onto your desktop or laptop that offer the same function minus the physical hardware component. 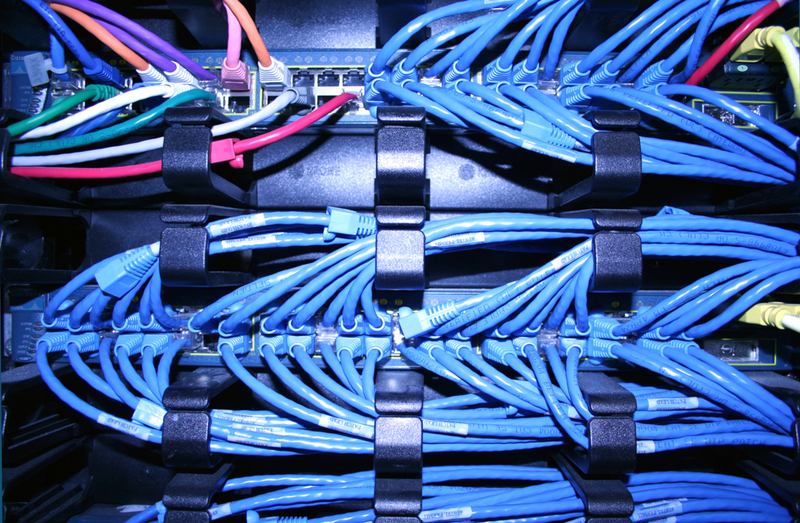 Network Cabling – Connects everything together. Certain types of cables provide different functions, such as fiber optic cabling transmit data over longer distances with fast speeds. All of these are essential elements that allow for a functional IT network. Other essential devices include wireless access points, which may be connected to the router or standalone devices that provides for wireless connectivity and network servers, which is a central computer system that is a repository of data and software shared by the network. Knowing and understanding with is wrong if something goes down allows for an easier fix and less time spent searching for the problem. Of course, if anything goes awry with something in your IT system(s), you can always contact Technology Solutions, LLC., your communications specialists, and we'll be happy to assist with any of your network and/or IT issues.